This summer holds many opportunities to get outside to explore our beautiful region. The Passport to Nature program is well underway, there are many activities In the Field and you can visit some of the properties you help us protect on your own. 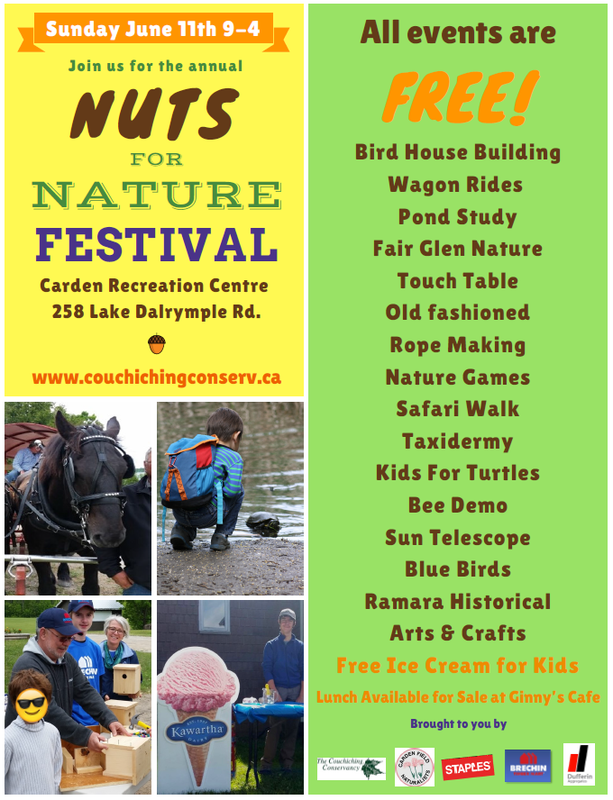 Back for another year is the Nuts for Nature Festival; a part of the Passport to Nature program. Lots of free activities - arts & crafts, wagon rides, pond studies. The Great Canadian Giving Challenge is back for another year - challenging us all to step up to support the charities near and dear to our hearts. Every dollar donated in June is an entry to win a $10,000 donation. Make a Donation & Enter us to win a $10,000 donation to protect nature! 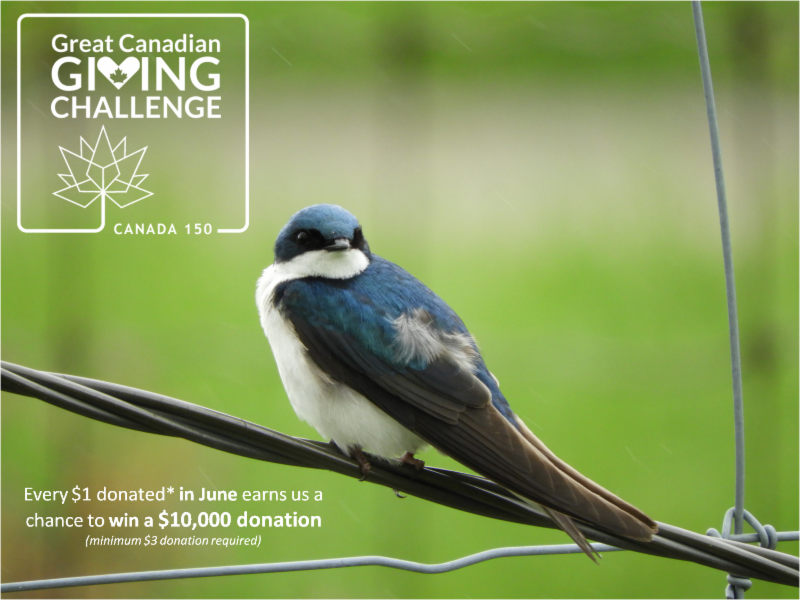 150 bird species, including 23 warbler species and two bird species new to the Challenge count – Blue-gray Gnatcatcher and Bay-breasted Warbler. Amazing that in its 13th year, the Challenge still seems to discover a few new species each year. Despite the level of coverage and expertise directed to the Carden CBC circle, a surprising number of bird species were seen by only single teams: 15 species in all, including Great Egret, Hooded Merganser, Lesser Scaup, Red-shouldered Hawk and Merlin. 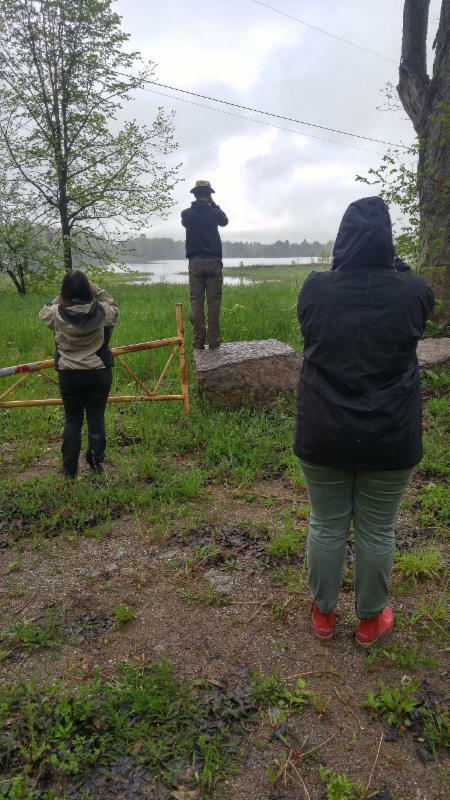 Our 2017 Engagement Organizers, Kelcey and Grant have been braving the flooding in Carden not only to speak to our supporters and nature enthusiasts in the field, but also to help local wildlife get around. 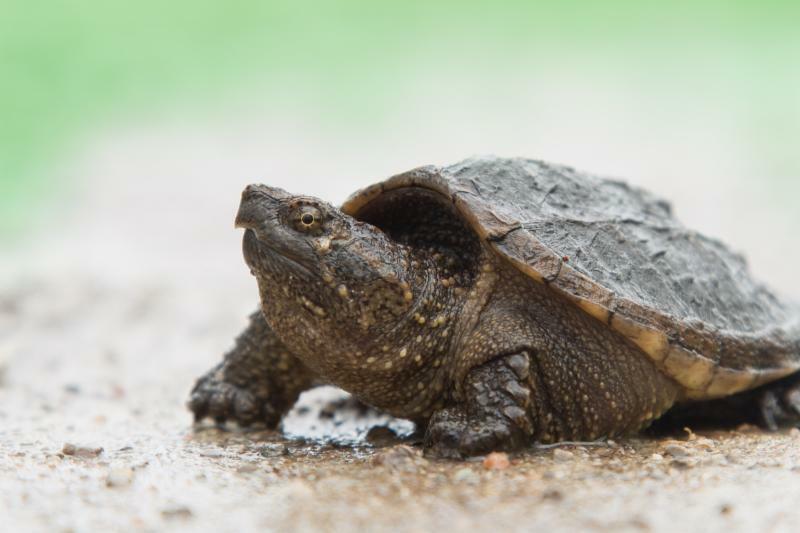 One important note from the field is that the turtles are out and about. 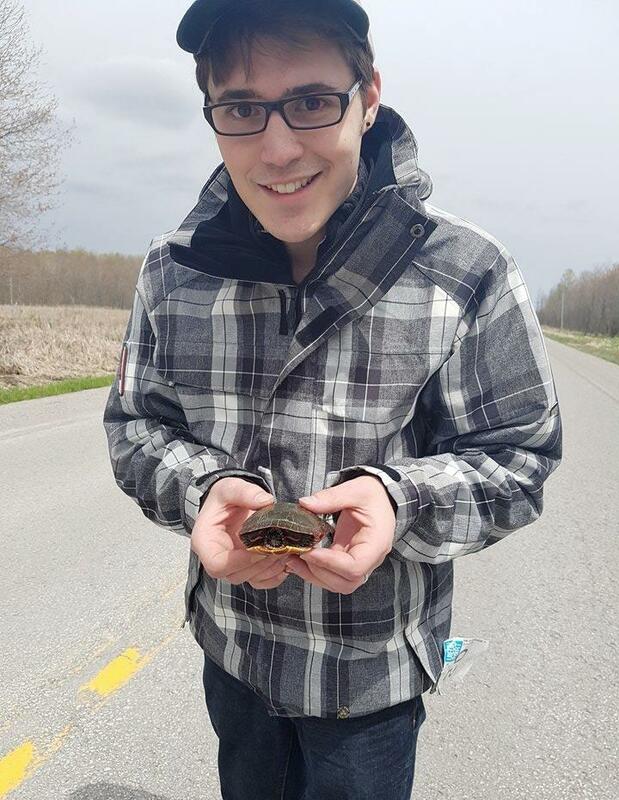 Be careful when driving to take care of turtles, like the painted turtle seen here with Grant.